Actually any wireless device, but the iPad and iPhone are two particular mobile devices where customers are clamoring for a 4G version. So all you need to do is purchase a Sprint 4G Overdrive Mobile Hotspot, and then your iPhone, iPad, or any other mobile device, can instantly turn into a 4G mobile device. So in reality, you’d then have an iPad 4G or an iPhone 4G. 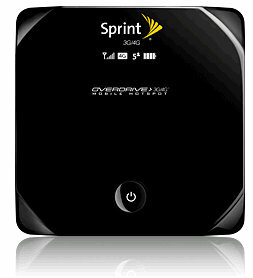 The Spring 4G Overdrive Mobile Hotspot costs $99.99, and of course, 4G speeds would only be available where 4G speed is accessible – currently the Sprint 4G coverage map can show you where.